I first heard the news of the Orlando tragedy while returning from a painting trip in Spain. All the artists on the trip were deeply saddened to hear the shocking news as we sat at the airport grieving and praying for the victims and their families. 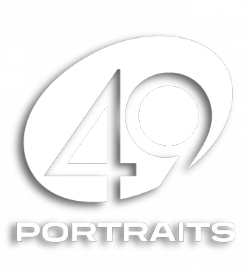 Soon afterwards, I received Mia Merlin’s email about the 49 Portraits Project and instantly contacted her. I needed to reach out in a small way to help the grieving family of Franky Jimmy Dejesus Velazquez. Although he was amongst the oldest victims he was still full of life and left this world too soon. Hope my portrait brings some solace to his family in Puerto Rico. We all need to reach out across the globe to be kinder and more accepting. Kathy Rennell Forbes is an accomplished International artist and instructor based in Atlanta, Georgia. Her artwork is in private and corporate collections around the world. She is a Signature Member and past President of the Georgia Watercolor Society and has won awards in local, regional and national shows. Kathy creates and exhibits at her studio loft in the historic Westside Arts District at Studio Z. She earned her BFA in Art and Art Education at University of Georgia. She teaches painting classes at her studio, Chastain Arts Center and Kennesaw State University Continuing Education. In 2015 and 2016 Kathy traveled and taught watercolor workshops in Coastal Maine, USA; Havana, Cuba; Tuscany, Italy and Barcelona, Spain. Kathy was among some of the first artists to paint in Cuba after the US embargo was lifted. While teaching, she also gathered inspiration for future watercolors that have been exhibited and will be exhibited in shows and at her studio. She tried to capture the local mood and color; historic nature and distinctive culture in her watercolors.